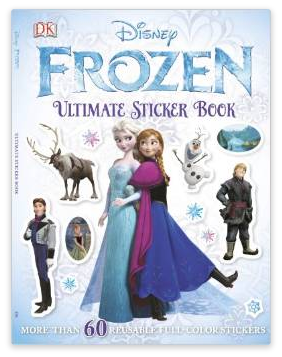 Disney Frozen ULTIMATE Sticker Book $4.19 + FREE Prime Shipping (Reg. $6.99)! You are here: Home / Great Deals / Amazon Deals / Disney Frozen ULTIMATE Sticker Book $4.19 + FREE Prime Shipping (Reg. $6.99)! This is sure to put a BIG smile on your little Frozen fans face this Christmas! Right now you can snag this Disney Frozen ULTIMATE Sticker Book for only $4.19 (Reg. $6.99)! This has 16 pages of stickers! !